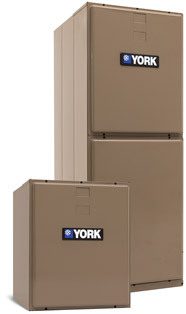 For over 140 years, YORK® Heating and Air Conditioning has been respected throughout the industry for its leadership in delivering comfort to people where they live, work and play. 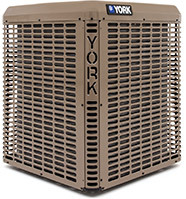 YORK® residential heating and cooling systems are designed, engineered and assembled in the United States, where their quality is closely monitored. 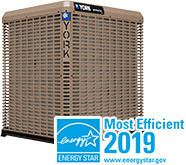 It’s this promise of excellence that allows YORK® to offer outstanding warranties, meet the highest industry standards and deliver energy-saving comfort that lasts a lifetime. Their products feature some of the most advanced, innovative technology in the industry. 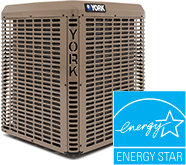 As your local YORK® dealer, Kobie Complete Heating & Cooling is your source for expert installation, repair and maintenance of YORK®’s line of smart, efficient air conditioners and heat pumps. From our two locations in Englewood and Punta Gorda, we serve all of Sarasota & Charlotte counties. 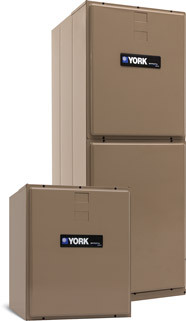 Below you find the most popular lines of YORK® air conditioners, heat pumps and air handlers we install. (YXV) Up to 20 SEER Variable Speed Air Conditioner, ENERGY STAR® Most Efficient performance. 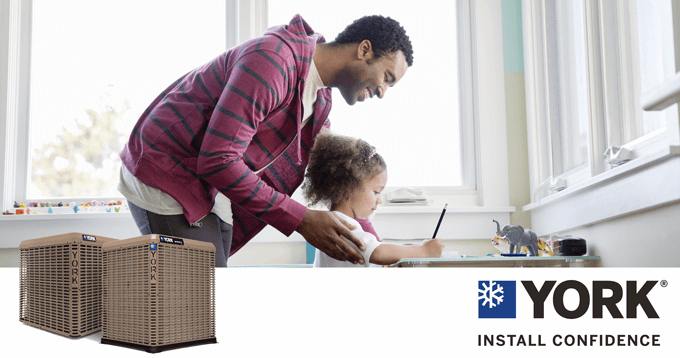 (YXT) Up to 19 SEER Two-stage Air Conditioner and ENERGY STAR® qualifying. LX Series split system air conditioners fit your needs with efficient models that reduce your utility bills. Affinity™ Series heat pumps offer higher energy efficiency than standard models — plus, an innovative QuietDrive™ Comfort System for quiet operation. (YZV) Up to 20 SEER / Up to 10.0 HSPF Variable Speed Heat Pump, ENERGY STAR® Most Efficient performance. (YZT) Up to 19 SEER / Up to 10.0 HSPF Two-stage Heat Pump, ENERGY STAR® qualifying. 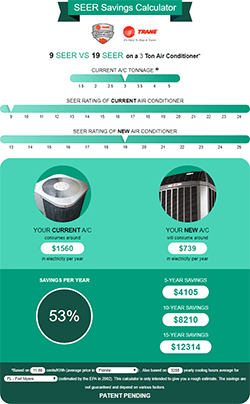 * Lifetime compressor and heat exchanger limited warranties, 1-year Labor Limited Warranty and 10-year Parts Limited Warranty require online registration within 90 days of installation. Otherwise, warranties revert to the standard 5- or 10-year compressor, 20-year heat exchanger and 5-year parts limited warranties.